This was written by admin. Posted on 水曜日, 2月 5, 2014, at 6:52 PM. Filed under Sale. 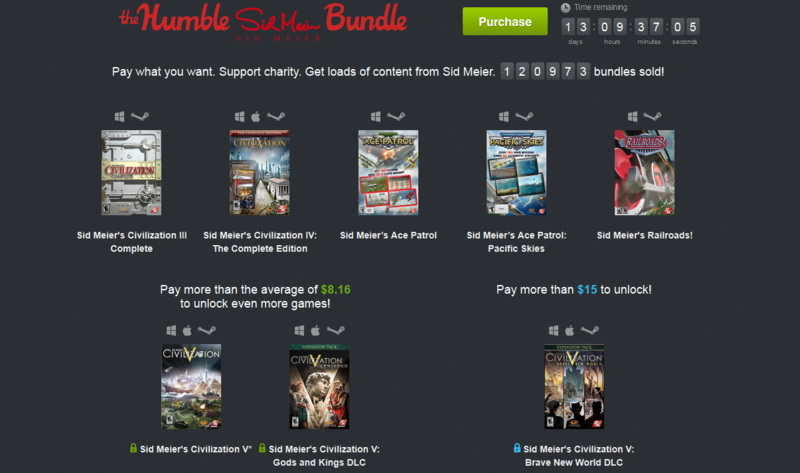 Tagged Civ, Civ4, Civ5, Humble, Sid, Sid Meier, Sid Meier's Civilization III Complete, Sid Meier's Civilization IV: The Complete Edition, Sid Meier's Civilization V: Brave New World, Sid Meier's Civilization V: Gods and Kings. Bookmark the permalink. Follow comments here with the RSS feed. Post a comment or leave a trackback.